Retailers have found themselves stuck somewhere between two competing narratives. If you ask some, there’s never been a worse time to be in the business — retailers are filing for bankruptcy left and right, shuttering stores and competing in a fierce price war with industry giants like Amazon and Walmart. Some have even gone so far as to label these apocalyptic times. But if you ask Matthew Shay, who has been the CEO of the National Retail Federation for the last seven years, he’ll tell you there’s never been a more exciting time for merchants to drive innovation and experience. The problem with these polarizing narratives, of course, is that it’s not as simple as dividing the retailers that are closing stores from those that are opening new ones. Many are doing both at the same time, and that’s not a bad thing. It’s just different. The notion that the retail industry is going to go away I think is just, you know, patently false. And anyone that suggests that is just misguided or misinformed. "People still consume. There are still going to be brands. There is still going to be shopping that goes on, so it's not going to go away as if we're all going to stop consuming tomorrow," he said. "The notion that the retail industry is going to go away I think is just, you know, patently false. And anyone that suggests that is just misguided or misinformed." For Shay, it’s not about winners and losers, it’s about transformation, and his association is in the midst of one as well. The NRF, an organization that dates back to the early 1900s, has evolved dramatically through the ups and downs of the industry. Over the years, it has navigated successful and failed mergers, championed major legislative wins on Capitol Hill, developed one of the biggest industry tech trade shows and built up a membership base of over 18,000 retailers, both small and large. Regardless of the economic or political climate, the NRF has always focused on adapting its role to fit the needs of modern retailing. And today, that means one of Shay’s biggest tasks is advocating for what he believes to be an industry far from its death bed, but one driving the kind of innovation that will define the future of how consumers browse and buy. Editor’s note: Check out our full conversation with Matthew Shay on our podcast Conversational Commerce here. In some ways, it was a gamble for the NRF’s board to bring Shay on back in 2010. "Here was a young guy who didn't have a proven record in one of the big organizations. He was someone we were leaning forward with who had run a smaller organization that we thought could do big things," Stephen Sadove, former Saks CEO and current member of the executive committee on the NRF’s board, told Retail Dive in an interview. At the time, Sadove was one of five board members to sit on the search committee, which he said was looking for a visionary to transform the organization while enhancing its strengths. "We know what it has been, it's well-respected, it's not broken, but what is a future state of the role that in terms of the voice of retail, what could it be like?" he said. To him, Shay had the energy and the vision the organization needed. He was the CEO of the International Franchise Association at the time, where he had worked his way up from director of government relations, and his roots were in retail too. His first job was as a shoe salesman on the town square of a small Ohio town, and fresh out of law school he worked for the Ohio Council of Retail Merchants. Despite today having a glass-walled corner office with a view of the Capitol building, Shay has a strikingly Midwestern demeanor, complete with an enormous bag of colorful gumballs on his desk, which he offers to guests. It was a gift from a colleague down the hall, Shay said, after he jokingly complained that only one came out of the office gumball machine at a time. Looking back at his seven years at the organization, he told Retail Dive he was eager to take the position at a time when the board was interested in "reimagining of the future of the organization and transformation internally." "Taking things apart and putting them back together, building things is exciting and it's fun, it's very rewarding," he added. When Shay joined the NRF in 2010, the economic climate was still choppy from the Great Recession and the biggest push from the federation was on "improving the image of the industry" and focusing on job creation, Shay said. Today, the organization's message is still very much about job creation, but also about educating the next generation of retail employees to use and develop technologies becoming ever critical to jobs in the industry these days. "All the work that we've done in the area of careers I think has has dramatically changed the perceptions of the industry," he said. During his time at the helm, Shay is credited with doubling the organization’s revenue. The largest revenue source, conferences and conventions like the Big Show and Shop.org, increased by nearly two and a half times, and its net assets have quadrupled, according to information provided to Retail Dive from the NRF. The organization’s membership base has also grown dramatically, up to 18,000 retailers today, many of which are small businesses. Shay also notably brought on Walmart in 2013 after decades of courting. But prominence in the industry certainly didn’t come easily, or quickly. Back in 1958, as consumers turned from buying custom-produced goods at general stores to factory-produced products out of Sears or J.C. Penney department store catalogs the organization that would later become the NRF began to modernize first by shedding its dated name — the National Retail Dry Goods Association. It rebranded as the National Retail Merchants Association to open itself up to a wider membership base outside of its roots in department store retailing, but not all the big players came running. "Walmart as we all know became the kingpin," Richard Mader, founder of the Association of Retail Technology Standards and executive director from 1999 to 2002, told Retail Dive in an interview. "The NRF for many years tried to get Walmart to join." In 1965, Walmart founder Sam Walton helped create the Mass Retailing Institute, made up of a network of discounters like Target, Shopko and Kmart. (The organization later changed its name to the Retail Industry Leaders Association in the early 2000s.) In contrast to the NRF, the organization was, and is still seen as, the big-box group, lobbying for issues that may not be as impactful for smaller retailers, although many to this day belong to both. 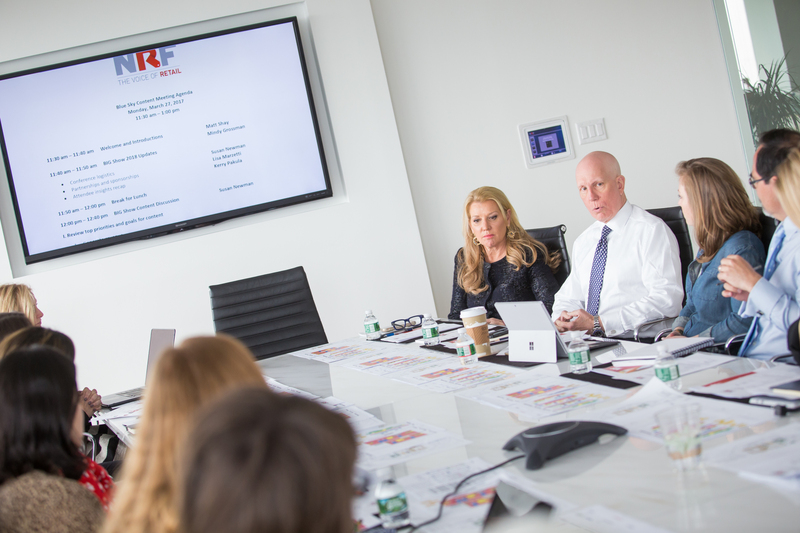 When the NRF finally adopted its modern name in the 1990s following its merger with the American Retail Federation, it was still based in New York City and there were only about five employees in the Washington office. One was Tracy Mullin, who was elevated to co-president following the merger. Steve Pfister, NRF senior vice president of government relations from 1998 to 2010, was another, who recalls the organization being relatively unknown on the Hill at the time. Following the merger, Washington D.C. became the new home of the organization and Mullin soon took over as CEO, amplifying its involvement in public policy and presence as a retail lobbying force. "One of the things Tracy and I always discussed ... we wanted to have the NRF mentioned in the same breath as the NFIB (The National Federation of Independent Business), the NAM (The National Association of Manufacturers) the Chamber of Commerce and the other large influential associations," said Pfister, who today is the principal at consultancy firm the Pfister Group. "I would say through the evolution of some of the groundwork we laid and where they are now I think they have that recognition." The organization grew steadily over the years, adding members and beefing up its conference lineup. The organization’s Big Show is one of the industry’s largest trade shows, drawing in more than 33,000 attendees and 500 exhibitors this year. The organization anticipates 34,500, including 13,000 retailers, will attend next year. By contrast, the NRF's much smaller digitally-focused Shop.org brought in 3,500 attendees this year, down from roughly 5,400 in 2015. Mullin ran the organization, which had roughly 120 people, with a hands-on leadership style, meeting directly with department heads and other employees on a regular basis, Mader said. He is also the former CIO of Bon Ton, and his company were brought in by Mullin to boost the organization’s technology focus. "Everybody suddenly looked at how to increase digital presence to keep the doors open," he said. "All of a sudden IT was important." Sadove joined the group around 2002, at a time which he describes as a "seismic shift" in the industry. "You had some of the themes you had today were nascent even then. You had a lot of issues — and it wasn't just tech changes. There were a lot of policy issues affecting the industry, a lot of business model changes," he said. "All of the things that are playing out now [in terms of disruption], that was the period when it all began." In 2003, Amazon turned a profit for the first time in the company’s history and retailers began scrambling to build endless aisle websites and vie for customers in an emerging arena. In the years of disruption following, many began to wonder if one retail voice may be stronger than two. In April 2009, the NRF and RILA announced a merger, and after more than 30 years at the company CEO Mullin publicized her intent to retire by the end of the year. In a joint statement, at the time RILA chairman Robert A. Niblock and NRF chairman Myron Ullman III noted: "This is an historic time for our industry. The challenges and opportunities before our members are unprecedented. Now is the right time to bring these associations together." Though few other details were provided in the release, the companies agreed that Sandra Kennedy, CEO of RILA, was to lead the combined company. Some of the themes you had today were nascent [in the early 2000s]. You had a lot of issues — and it wasn't just tech changes. There were a lot of policy issues affecting the industry, a lot of business model changes. But just two months later a second joint press release was issued — this one calling off the proposed merger with no explanation given. "From my perspective, Walmart was part of the equation and RILA ultimately walked away from the merger," Pfister said. "We had joint staff meetings and you wonder, well 'I'm SVP of this and she's got an SVP of that. Someone else is an SVP of this, she's got an SVP of that. How is this all going to play out at the end?" Pfister said he was not involved in conversations regarding the merger as it was above his pay grade. "It was very sound conceptually and it wasn't well executed, so I think when you look at the steps about how things were ruled out, perhaps it could have been done differently." Talks of a proposed merger came and went in the blink of an eye, but Pfister added that the organization didn't miss a beat. "When it was announced the merger talks were off, we had jobs to do so it was business as usual," he said. "RILA wasn't going away, they were still working the issues. We had friends over there. We weren't going away." 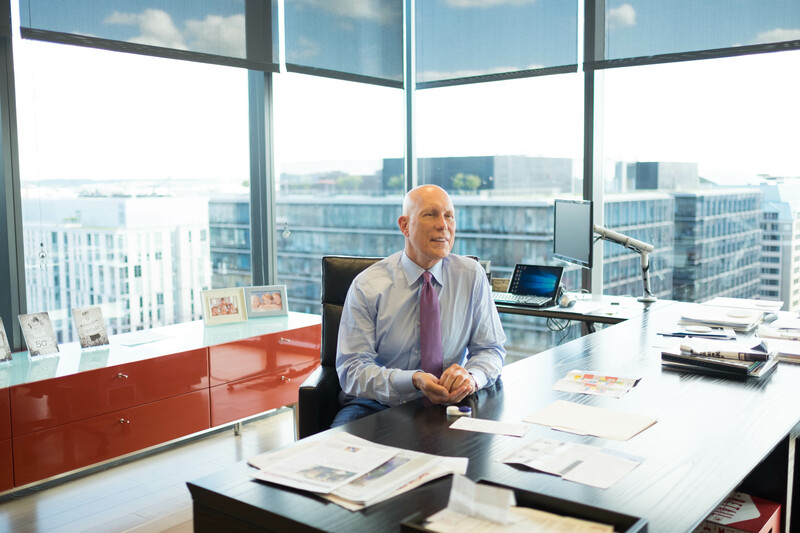 In the aftermath of the failed merger as Shay took the reins, Pfister said it seemed his focus was on boosting the organization from the inside. "I think he recognized that he needed to focus like a laser beam and had to get to know his board. He had a good team in place," he said. "He wanted to make sure he had the support of the member companies and I think he successfully launched a very aggressive recruitment campaign to get the companies that weren't in NRF members, like Walmart." Shay has a good relationship with the board, according to Sadove, who describes Shay’s leadership as "inclusive." But to Mader, Shay's focus appeared to be more outward during their overlap at the organization. "His management style was much different than Tracy [Mullin's], she was hands on most everything," he said. "He was much more focused on outside, leaving inside to staff." 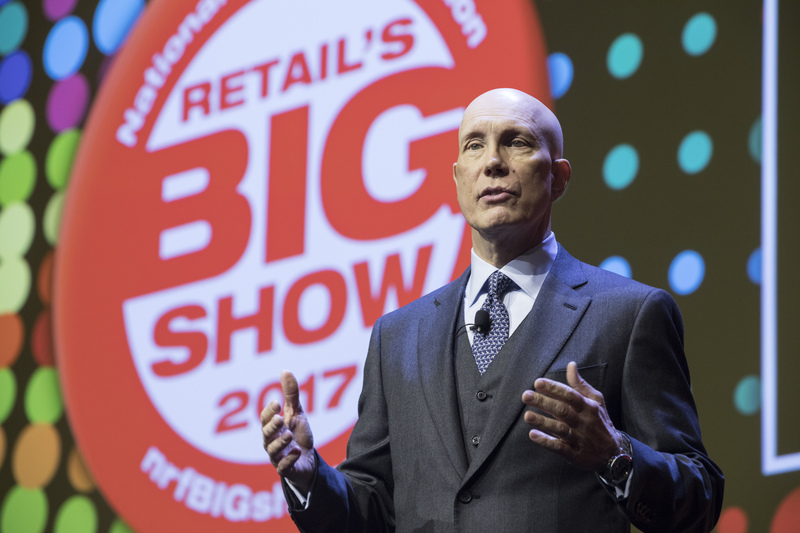 The NRF has always promoted itself as a place for retailers to come together and learn best practices in the industry, and now that's more important than ever, Sadove said. "You've got a lot of retailers who are reaching out saying 'I'm not sure how to navigate this new world,' and I think the NRF has a major role to play in terms of helping people do that." Today, there are more than 18,000 members of the NRF, varying from small mom-and-pop shops with a handful of employees up to department store giants like Neiman Marcus. Members are considered disruptors, as well as those being disrupted. "It can occasionally be challenging navigating through that [having a diverse membership base]. But I think most people will be surprised at how much agreement and harmony there is among the members on the issues," Shay said. "Generally they're all winners and they're all losers with very few exceptions." You've got a lot of retailers who are reaching out saying 'I'm not sure how to navigate this new world,' and I think the NRF has a major role to play in terms of helping people do that. Online giants like Amazon as well as successful startups like Stitchfix, Warby Parker and Birchbox have all put pressure on retailers to rethink the way they do business in this new era of retailing. Meanwhile, Amazon and Walmart are caught in a logistics, tech and e-commerce arms race amid a fierce price war, and smaller retailers that can't invest in the same ways are feeling a hit to their bottom lines. "Depending on the footprint of the particular retailer in the business they operate and the customers they serve, some can only move as quickly as they can move. And so some are going to be left behind," Shay said. "Yes there are casualties, and I think that's a fact. There's too much real estate in the United States. There are too many malls and stores, and you know development and real estate are cyclical industries and the boom and bust that happens in other industries happens in retail." 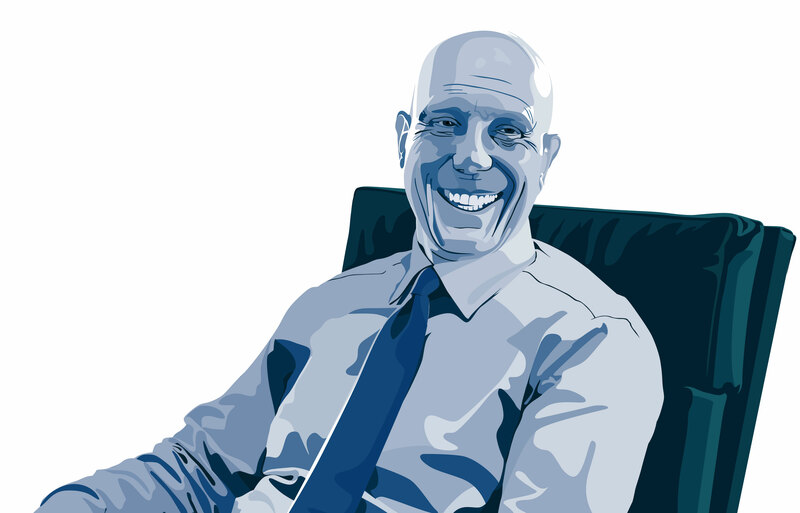 One of Shay's biggest assets to the organization has been his public policy push. Shay has strengthened its government affairs arm dramatically during his time at the helm, spending a significant amount of time educating members of congress about key retail priorities — namely tax reform. One of the clearest policy wins the NRF had this year is stopping the border adjustment tax, a proposed tax on imports that analysts said could have swallowed $13 billion from six major U.S. retailers' annual earnings alone. The NRF doubled down on its efforts to stop the measure, even experimenting with a 60-second satirical spot that aired during Saturday Night Live and FOX and Friends in March. "This goes beyond making the point that Senator X in a state hears about this," Pfister said, adding that while the ad might not have been cheap, it was a smart move considering President Donald Trump is known to tune in to the programs. "This went national and this went viral. It was an extraordinary strategy." Shay has worked under several presidential administrations, but lobbying during the Trump administration is a "dramatic departure" from what it was like to engage with the Obama administration, Shay said, acknowledging that Trump is a "disruptor in chief." "Certainly at the beginning, earlier in the year, it was a question of how different is this going to be," Shay said. "I think everyone is figuring out as we go with each passing day and each new issue, that some things you can do the old fashioned way, or at least the traditional way, and other things are going to be different about Washington." But for as much as is different in Washington these days, a lot is still the same, he said. Relationships are critical, and especially so when it comes to the Trump administration. And to Shay's credit, the organization and retail executives have gotten more high profile meetings this year with Treasury Secretary Steven Mnuchin and Vice President Mike Pence, who spoke at the NRF Retail Advocacy Summit in July. Amid a new period of disruption, driven by enormous technology advances and changing consumer behavior, many retailers have struggled — and not all will hang on for much longer. "There will be more of [a seismic shift]. There will probably be 9,000 stores that close this year, but you'll have 4,000 to 5,000 open," Sadove said. "There will be more consolidation, more [of] the consumer wanting things whenever and wherever they want it. The role of [the] retail business is to satisfy that need, so they have to figure out how to do it with different technologies." As retailers wrestle with these new hurdles, the organization continues to evolve and some are critical of the organization's push to develop the Big Show into a money-making vendor tech show. "It’s a good change to have money to accomplish your mission. It’s a good thing to provide what your members want," Mader said. "But I still believe if you’re a member of an association you need to be really very much member driven." While the show is an enormous showcase of new technology, Mader said he hopes the organization invests more in educational services that break down new technologies to members in an objective way, free of vendor influence. He left the organization in 2012 and the Arts program in recent years also ended. Ultimately it is still about what it's always been about, which is what is the customer experience and how do they get more of what they want when they want it how they want it at the right price with the right selection or with the right exclusivity or the right level of convenience or service for your customers. Others embrace the transformation of the conferences. "I have to believe given the success they're illustrating, they're giving the members what they want. And if the vendors are paying the bills and if the technology is what the retailers are going to fly in from South America or Tokyo to see, give them what they want," Pfister said. Going forward, some question whether retail trade groups will consider another attempt at merging their voices into one — and whether that's best for the industry. "If the leaders of the organizations convene and say 'We can take another stab at this, we need one voice,' I think they probably will be amenable to it," Pfister said. "I was in the middle of the previous merger attempt and it was sound conceptually, who can argue with having one voice, with having strength?" Neither the NRF nor RILA have given any indication that they plan to consider another merger. For now, as retailers take on the disruption that technology has thrown at many industries, Shay is focused on how the NRF can best advocate for the priorities of the NRF's members and help them figure out what it takes to succeed in the industry going forward. The future of retailing, Shay said, is about reducing friction and upping the customer experience. "I think, ultimately, it is still about what it's always been about," he said. "Which is the customer experience and how do they get more of what they want, when they want it, how they want it, at the right price with the right selection, or with the right exclusivity or the right level of convenience or service for your customers." Amid great disruption, the basics never change.